5 Great Restaurants to Try on Singer Island! Friday, January 29th, 2016 at 9:58am. Looking for a new restaurant to try in Palm Beach Counnty? 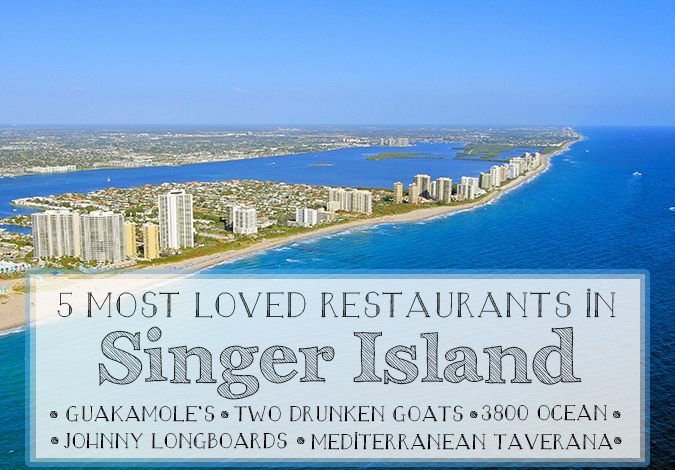 Try one of these great Singer Island restaurants! A true, tropically inspired restaurant in Singer Island is the beloved Johnny Longboats. Johnny Longboats Tropical Grill on the Beach offers breakfast, lunch and dinner with a breathtaking view of the beach and ocean. This charming, open-air restaurant offers a true Floridian vibe with a warm, friendly atmosphere. the menu at Johnny Longboats features a variety of tropical dishes from fresh fish, a raw bar and delicious, tropical cocktails. Johnny Longboats Tropical Grill on the Beach is located at 2401 North Ocean Avenue on Singer Island, Florida.